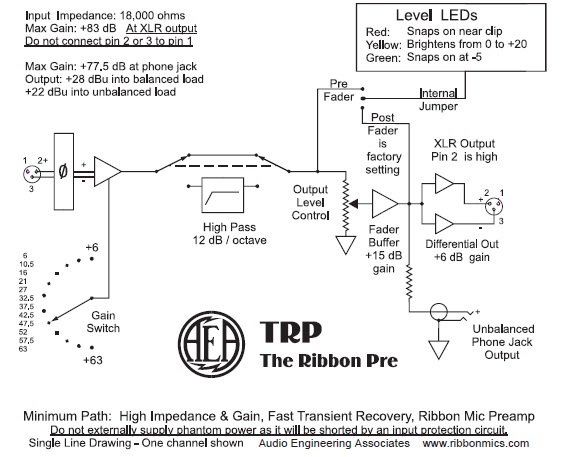 The TRP (The Ribbon Pre) is an ultra high gain and high impedance, minimal-path FET microphone preamp designed by Fred Forssell. 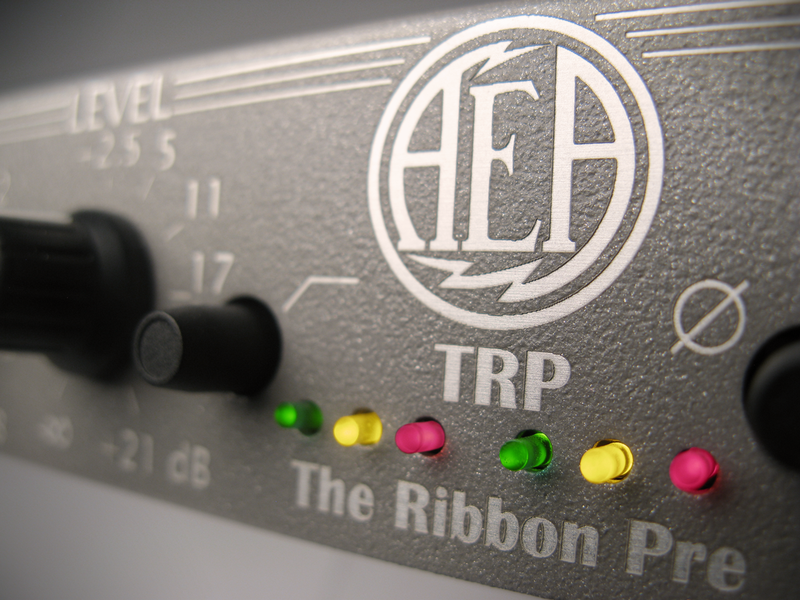 At a time when most preamps were geared towards the needs of condenser mics, the launch of AEA’s TRP started a new movement in preamp design that specifically addresses the needs of ribbon mics. First, the JFET discrete front end provides 83 dB of gain. We designed that gain as quiet as physically possible opening up new possibilities for engineers using low sensitivity microphones. By leaving out the phantom power blocking capacitors and by using an external power supply, we created a minimal-path circuitry that captures the pure tone of your passive ribbons all the way down to the lowest bass frequencies. Secondly, the ultra high input impedance of the TRP’s input stage avoids any preamp loading effects to ensure that you get the all the sound your passive ribbon and moving coil microphones can deliver. 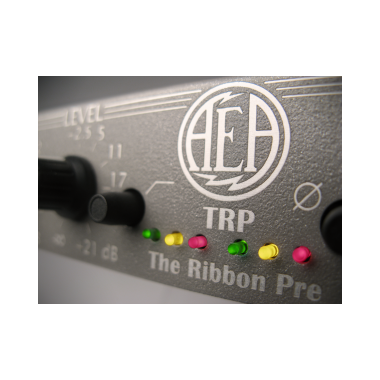 The TRP is a cost-effective, high-quality solution providing a pure and transparent signal path for all ribbons, tube, and moving coil microphones that do not need or do not want phantom power. Despite the small half-rack footprint, the TRP packs several key features that are critical for professional recording. 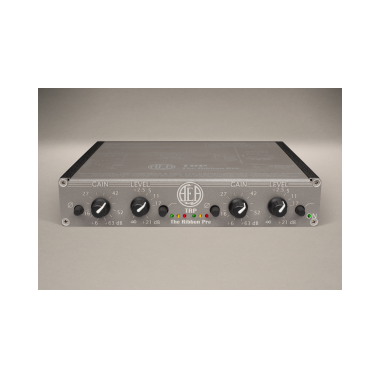 The gain structure of the 2-channel (dual mono) preamp consists of an input gain control and an output level control. The input gain is set with a high-grade twelve position Grayhill switch. Another 21 dB of additional gain are provided by the output stage and controlled via a continuous pot that acts as a fader. The output fader not only allows for executing minute and click-free gain adjustments while recording, but it also facilitates the possibility of fade-outs and doubles as a mute function. 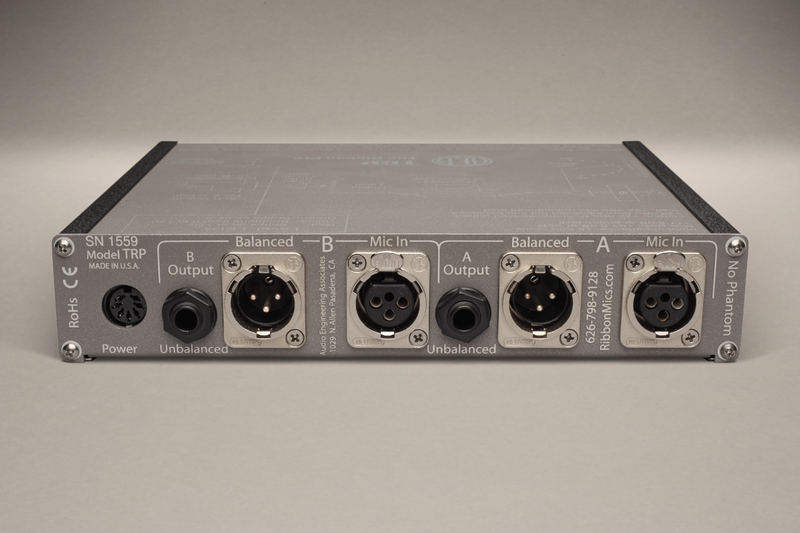 Professional Neutrik 3-pin XLR and ¼” TRS outputs provide simultaneous balanced and unbalanced outputs, allowing the TRP’s signals to be sent to two devices at the same time without the need for additional splitting. In a live recording situation, for example, the balanced outputs could feed the live mixing console while the unbalanced TRS signal is sent to a recorder or DAW interface. 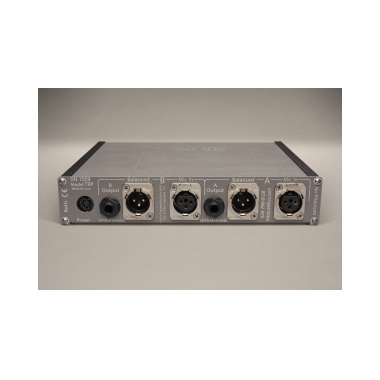 Polarity reverse switches for ensuring proper polarity throughout the recording chain and switchable 100 Hz, 12 dB per octave high pass filter (HPF) per channel complete the toolkit of the TRP. Internal audio switching is handled by gold-contact relays keeping the audio path short and simple for best sound. For best voltage transfer, the impedance of the preamp should be at least five times the microphone’s output impedance. Many microphones have a nominal impedance of about 200 Ω, leading to the assumption that a preamp impedance of 1.0 to 1.5K Ω should be fine. However, passive microphones, and ribbons in particular have an output impedance that rises towards low frequencies and can easily get as high as 1000 Ω at resonance, resulting in a 6 dB loss at this frequency with a low impedance preamp. 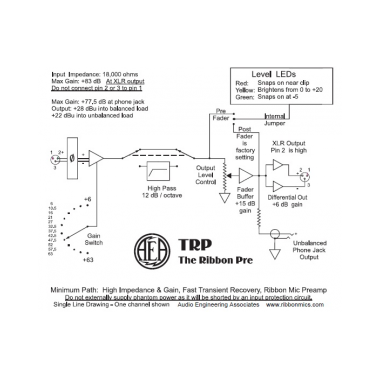 A preamp impedance of significantly more than the commonly seen 1.0 to 1.5K Ω is beneficial for all passive ribbons and moving-coil microphones. 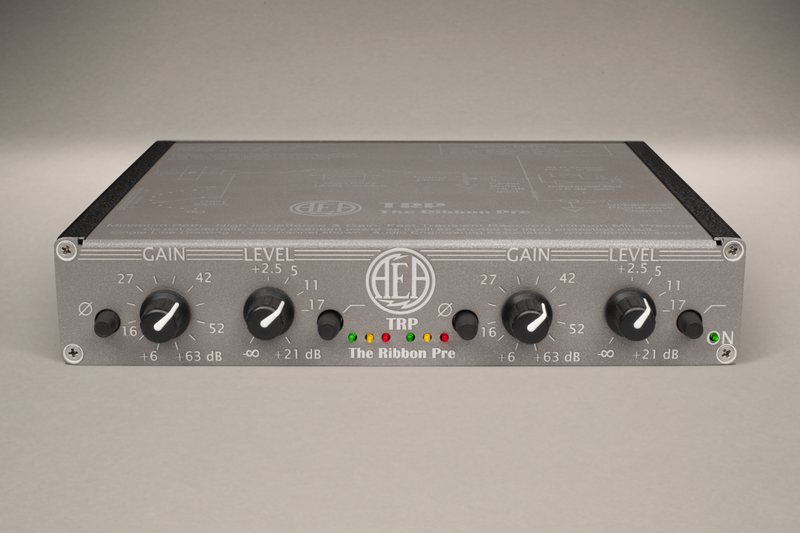 All AEA preamps have input impedances of at least 10K Ω for these reasons. Microphone loading because of low impedance preamps can lead to interesting creative results, but AEA’s NoLoadTM inputs will guarantee highest sensitivity and bandwidth in all situations.